The repeal of Glass Steagall was the final straw that broke the back of the world economy. That was the single worst act that could have ever been done and we are now paying the price in spades. The collapse from 2007 has wiped out even the liquidity of the markets. This entry was posted in Biz on June 29, 2014 by Bill. The Democratic Party is jubilant … because, among other things, they are awash in cash. The millions of dollars in corporate cash that flowed to the Republican Party during the heyday of Karl Rove is now flowing to the Democrats. Now, it is just possible that Corporate America has experienced a mass conversion, a change of heart than has resulted a change of contributions. Unsuspected by Ordinary People, Economic Ultra-Elites Command the Base Institutions that Regulate Our Fundamental Living Conditions. They Are Far Above Conventional Distinctions of “Right” and “Left”—They Grant Ruling Privileges to the Group that can Demonstrate the Ability to Deliver What They Require. If The “Conservatives” Had A More Coherent, Political Gangster Force–As They Did in 2000–The Ruling Elite Would Have Supported “Conservatism”. The function of a quasi-governmental cartel/monopoly is not to benefit consumers. It is to enforce economy of scale, raise prices and discourage competition to benefit elites. — Bankers Rule the WorldThis is possible, but I doubt it. Rather, the money flows on what might be called the “Vicar of Bray” principle, namely that “whatsoever king shall reign,” the corporations will still retain their power and influence. It is power, and not principle, the directs the flow of cash. The corporations treat these lobbying and political expenses like any other investment; they expect (and get) a high return on their dollars. These returns come in the form of favorable tax treatment, friendly “regulations,” subsidies, and an endless stream of the kinds of “goodies” that only a beneficent government can provide. Government becomes a contest of competing oligarchs and the will of the people—the foundation of a democracy—becomes the will of those with lots of cash. The great enabler of this form of oligarchic government is the Party System and especially the two-party system. This system is not constitutional, but it might as well be, since it is written into the laws of every state and of the federal government as well. The two parties enjoy a position in government that is sanctioned by positive law, and in practice no candidate can run—or even get on the ballot—without their sanction. But the parties themselves stand as mere proxies, not for real principles, but for principalities and powers. None of this is news, of course. Hilaire Belloc and Cecil Chesterton noted all these problems as far back as 1911 in their book, The Party System. Belloc was, of course, a member of Parliament who resigned, calling Parliament noting more than “secret government by the rich.” Well, the secrets out, and has been out for a long time. But with power vested in the parties, the people seem to have little power to change things. IHS Press will issue a new edition of The Party System with a foreword by Ron Paul. This is appropriate, since Congressman Paul does not quite fit into the standard political categories dictated by the two-party system. Actually, few of us do, but all of us find ourselves forced to hold our noses and vote, usually for the best of a bad lot. But Ron Paul has chosen the deliberate path of the rebel, much as Belloc and Chesterton did. the United States Constitution gives Congress the authority to regulate the time, place, and manner of federal elections. Ballot access is one of the few areas where Congress has explicit constitutional authority to establish national standards. So we have no excuse for not having taken care of this problem. This entry was posted in Elites on June 28, 2014 by Bill. 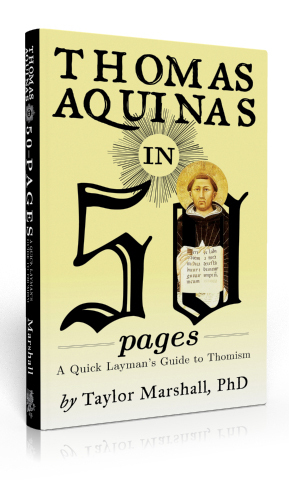 There actually is an Aquinas for Dummies but, as you can see, it isn’t very active. This entry was posted in Catholic on June 27, 2014 by Bill. This entry was posted in Words on June 9, 2014 by Bill. Description: A few years ago, a debate between atheists and religious believers spilled out from the halls of academia and the pews of America’s churches and into the public spotlight. A crop of atheist manifestos led the charge, surmounting and holding the tops of the nonfiction bestseller lists. This offensive brought on an outpouring of religious rebuttals. As both sides exchanged spirited volleys, accusations were leveled; myths, stereotypes, and strawmen arguments were perpetuated; and bitter hostility filled the air. Today many of these misconceptions and myths linger on, along with the generally acrimonious spirit of the debate. Distinguished researcher Rodney Stark joins us to clear the air of this hostility and debunk many of the debate’s most widely perpetuated misconceptions by drawing from an expansive pool of sociological findings. Looking at the measurable effects of religious faith and practice on American society, Stark rises above the fray and focuses exclusively on facts. His findings may surprise many, atheists and believers alike. The impressive book by Baylor University social scientist Rodney Stark, How the West Won: The Neglected Story of the Triumph of Modernity, continues the prolific scholar’s fascinating project of bringing social-science rigor (a phrase that is not contradictory in Stark’s meticulous hands) to watershed historical events and epochs. As with such earlier and well-received works as The Victory of Reason: How Christianity Let to Freedom, Capitalism, and Western Success (2005) and The Triumph of Christianity: How the Jesus Movement Became the World’s Largest Religion (2011), Stark’s lively and absorbing new work beheads the academy’s dictatorship of relativism and enthrones in its place concrete and fact-based understanding in order here to give Western civilization the credit it richly deserves. Modernity—the centerpiece of this project that Stark defines as “that fundamental store of scientific knowledge and procedures, powerful technologies, artistic achievements, political freedoms, economic arrangements, moral sensibilities, and improved standards of living that characterize Western nations and are now revolutionizing life in the rest of the world”—and its unique development in the West is Stark’s emphasis. That is to say, this book is an investigation of why it happened here and not the Islamic world or anywhere else. The sections on the development of capitalism, with its world-transforming capacity to create wealth, are replete with insights and illuminating facts. And transformative it has been: Stark says that “an infant born today in the Republic of the Congo can expect to live twenty-five years longer than a baby born in France in 1800.” But its enemies remain legion. Stark confronts a number of commonplace errors. For example, a persistent criticism of the Industrial Revolution was its reliance on child labor. But as Stark shrewdly comments: “But before joining the chorus that condemns the evils of capitalism, consider this: the Industrial Revolution did not initiate child labor, it ended it” (emphasis in original). To be sure, modernity has its share of problems, contradictions, and evils. Certainly, Stark is aware of the West’s multitude of sins; nevertheless, How the West Won successfully explains the astounding creativity of our civilization without explaining away its excesses. It is also intrepid in its criticism of the chronic stasis of non-Western civilizations – unless, of course, they absorb Western values. Stark’s book should have as wide an audience as possible, but the ideal reader would be the student about to begin college (where it would function as an inoculation against the inevitable exposure to the ideological fever of relativism) or who has just finished his degree (where it would serve as an antidote for the contact with that same fever). Actually, Western-civilization courses are relatively rare these days; the expensive silliness that is passed off as higher education concentrates instead on such subjects as the cultural significance of Beyonce. Stark’s book also works as a provocative and inspiring introduction to the vast benefits of Western modernity that are all around us. Gregory J. Sullivan is a lawyer in New Jersey. He has written for The Weekly Standard and First Things, among other publications. This entry was posted in Words on June 4, 2014 by Bill.